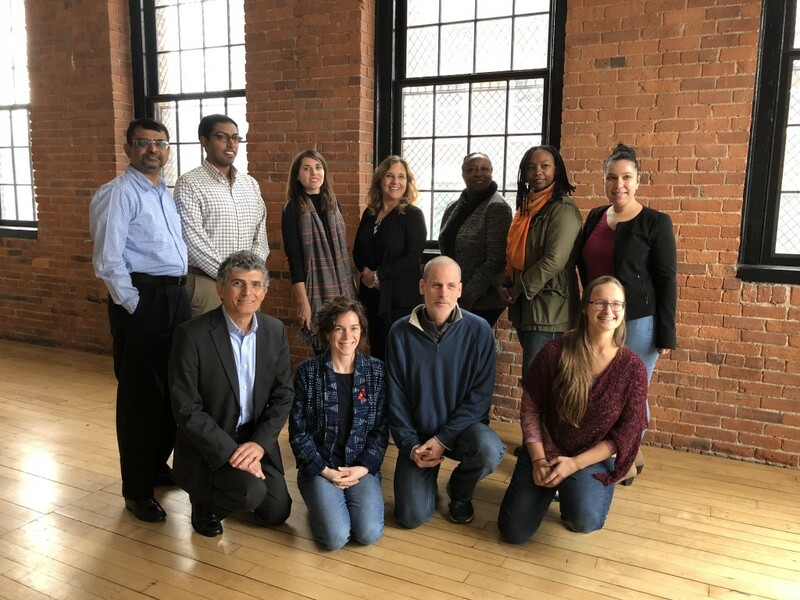 Providence, Rhode Island (December 5, 2018) – Join Social Enterprise Greenhouse (SEG) to celebrate the 2018 Health and Wellness Accelerator participants as they complete their 12-week business development journey at the Health and Wellness Accelerator Pitch Event on December 6th. The Pitch Event will take place at the SEG Hub (10 Davol Square, Suite #100, Providence) from 6:30pm-8:30pm. Each venture will present their business and plan for impact with a pitch to the audience. At the end of the program, thanks to generous support of Delta Dental, SEG will be offering $5,000 in cash awards to the highest potential Accelerator participants. This event is free and open to all. The third Health and Wellness Accelerator kicked off in September 2018. The Accelerator, SEG’s signature venture development program, includes a 12-week blended learning model developed and delivered in collaboration with Brown University. Throughout the three months, each of the social enterprises work to refine, formalize, and grow their business and social mission with the support of SEG’s community of coaches and advisors. Additional value is provided by one-on-one business coaching, a peer-learning cohort model, and access to SEG’s co-working space at 10 Davol Square, Providence. Upon graduation, participants will receive priority access to the SEG Loan Fund that provides below market interest rate loans to high potential social enterprises as well as later stage business services. The Health and Wellness Accelerator is made possible through a grant by Rhode Island’s Department of Labor and Training’s (DLT) Real Jobs Rhode Island and with support from Delta Dental of Rhode Island. The Accelerator is part of SEG’s broader initiative to support do well, do good businesses that are improving health & wellness outcomes in Rhode Island. Aging Easily has launched RIElderinfo.com, the only expert-curated online resource for aging services in RI. Tailored to seniors, caregivers, and professionals, the content covers community, state, and federal resources. Whether you’re looking for health services, transport, housing, legal/financial, government agencies, or activities/events RIElderInfo.com has what you’re looking for- AND MORE! The Bija Institute marries technology and mindfulness to enhance treatment protocols for pediatric patients, change their relationship with stress and, ultimately, improve their overall sense of well-being. Developed by The Bija Institute, the only one of its kind, ZenPals, is a hospital-centric software offering on-demand access to live meditations and mindfulness practices tailored to the individual child. bosWell reaches unreachable Medicaid members and connects them to their respective health plans/ providers. To achieve this, bosWell equips community-based organizations (CBOs) including shelters, pantries, and resource centers with free software for client management. bosWell notifies health plans/ providers when their members check into its CBO network and serves as a channel to facilitate engagement. Empower Spinal Cord Injury delivers broad-based rehabilitation to clients who have sustained life-altering spinal cord injuries when traditional therapy services have been exhausted. This program utilizes self-directed therapy and peer support to fully transform the individual’s life outlook and build independence. EOTO Health® will bridge a gap in health equity, bringing People of Color into clinical trials. Due to the historical mistrust of non-ethnic professionals in clinical trials, EOTO considers its cultural competency as our greatest asset in patient recruitment. For Philo enables moments of joy for people living with dementia and their loved ones through personalized, age-appropriate activities. Named after our Founder’s 92-year-old grandmother, For Philo is committed to raising Alzheimer’s and dementia awareness and to helping families and caregivers connect with loved ones through interactive, dignity restoring tools. Kindred Community Acupuncture is part of an international cooperative of community acupuncture clinics. We use a high-volume and low cost community healing model to make regular acupuncture treatments an affordable and normal way for people of all communities in Pawtucket, Central Falls and the surrounding area to stay healthy and keep connected. Interwoven Care is an integrated health network of socially driven providers who’ve come together to offer a better model of care. Mother Bear Meals, a division of Interwoven Care, is a doula-delivered meal service that provides nutritionally significant meals to low-income women before and after birth to improve infant and maternal health outcomes. Neighbors 4 Revitalization’s (N4R) mission is to mobilize neighbors to turn abandoned properties into affordable homes. We organize efforts, partner with stakeholders, support small business, and transform neighborhoods. Synkentrono uses predictive analytics to empower individuals to take control of their own health outcomes. We are the first company to triangulate medical, genetic, and social data into predictions about health outcomes for each individual. Our application then provides personalized guidance on how to change one’s health outcomes and helps track progress toward a better life in actionable steps. Z Twist Design is a visual communication firm founded by Eliza Squibb and Julia Shivers. Using textile design and collaborating with international artists, Z Twist creates vivid, visual communication design that is culturally adapted for organizations serving diverse populations in low resource settings.